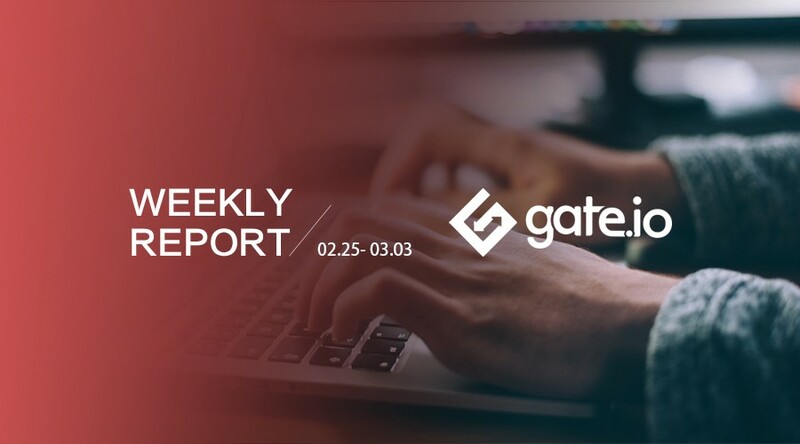 The total trading volume on Gate.io from 02/25/19 to 03/03/19 was around $359M, and the daily average trading volume was around $51M. 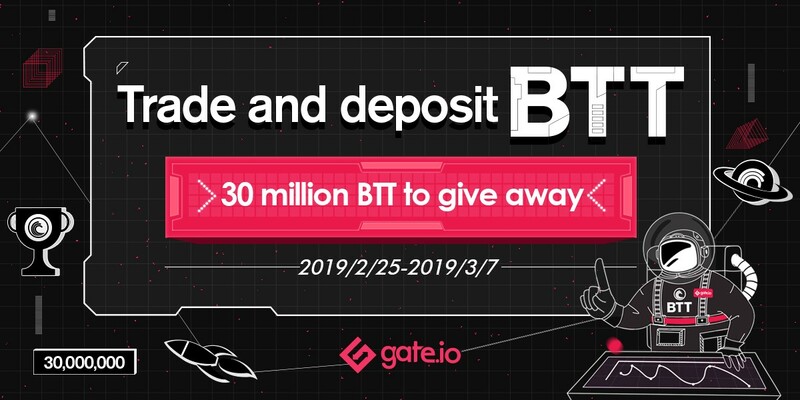 Trade and Deposit BTT on Gate.io to win up to 30 million BTT rewards. (4) The remaining 97 traders will share 5 million BTT based on their BTT deposit volume. 1) TOP 100 BTT trading volume accounts will share a total of 20 million BTT. Trading volume will calculated by the following formula: (buy amount + sell amount) x (time factor). Any trade between the same account will be excluded. The time factor decays linearly from 1.5 to 1.0 during the competition. (4) The remaining 97 traders will share 10 million BTT based on their BTT trading volume. Gate.io has distributed ONG to the ONT holders at the ratio 2 times of the official ratio.